Suddenly, the ground begins to shake. It's an earthquake! As yet, no one has figured out a way to predict exactly when or where an earthquake will strike. So what can we do to lessen the damage caused when one does happen? We can’t expect to think fast in an emergency. It’s important to prepare for an earthquake before it arrives. 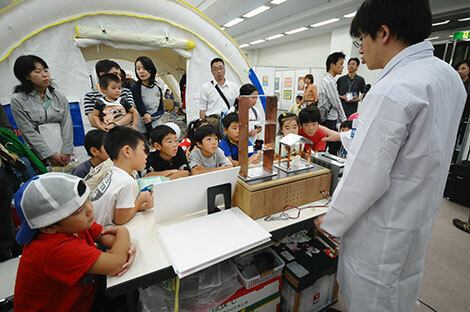 In Japan, where there are lots of earthquakes, disaster prevention training takes place every year in schools, offices, and local communities throughout the country. The best thing to do will be different depending on things like the size of the earthquake and where you are when it happens. In a very strong earthquake measuring at least Magnitude 6 Lower on the Japanese scale, it is difficult to stay on your feet, most unfixed furniture will shift, and windows and wall tiles may shatter. In a major earthquake like this, the best thing you can do is to stay where you are, keep low, and cover your head. In a smaller earthquake measuring Magnitude 5 Upper, on the other hand, things start to fall off the shelves, but it is still possible to walk as long as you hold on to something. In the case of an earthquake measuring Magnitude 5 Upper or less, therefore, you should move to a safe place close by. If you are in a school or some other building that is well protected against earthquakes, it is a good idea to take shelter under a nearby desk to protect your head. If you are in a building that does not have good earthquake defenses, you should evacuate the building, keeping your head covered against falling objects at all times. Kids in Japan grow up practicing this kind of drill as part of their classes in school. Preparing for a disaster is a serious matter. But that doesn’t mean it can’t be fun! Lots of training programs in Japan use an original and fun approach so that children can learn and have fun at the same time. One of these is called “Crisis! Frog Caravan.” This gives kids a chance to try lots of different drills. 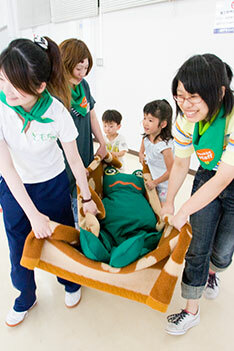 In the “Blanket Stretcher Time Trial,” participants have to roll up a blanket to make a stretcher, and then use the stretcher to carry a heavy frog-doll out of danger. The idea of using everyday items like blankets comes from previous experiences in real-life earthquake situations, when there have sometimes not been enough stretchers available. There are lots of other fun drills. One is the “Fire Extinguisher Target Game,” in which kids spray fire extinguishers at a spinning frog target and try to flip it over. 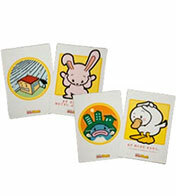 Another is the “Jack-Up Game” in which children use a jack to lift the frog to safety. 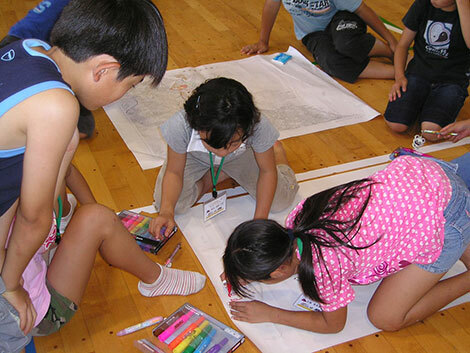 Another activity on the timetable at many schools in Japan is making up disaster safety maps. Students do research to find out where the local evacuation areas and danger spots are, and then use this information to create maps of their local area. These maps show things like walls that might fall down in an earthquake, and the addresses of people who might need special help in an emergency, such as old or disabled people. Japan has also been helping to introduce these maps in schools in other countries in Asia. Computer programs and games are another way of teaching students important lessons about planning for a disaster while having fun at the same time. 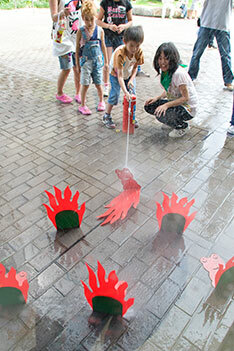 All these activities are based on lessons learned from real earthquakes. Taking part in these training exercises helps kids to imagine what things might be like in a real emergency and what the best response would be. The fun drills let kids enjoy themselves at the same time as learning how to act appropriately if a real earthquake ever strikes. Japan is often struck by earthquakes and other natural disasters like typhoons, but because people practice these drills from childhood, the damage caused when natural disasters do occur is very limited. Plot: Teru, a poor and kind girl, recently lost her older brother, her only remaining relative. Before he died, he gave her a cell phone connecting her to a person he said would support her if ever he were unable to. As time passes she is cheered on by text messages sent from this enigmatic person, known only as DAISY. But one day, through an unexpected incident as Teru begins working for the delinquent school janitor, Kurosaki, she starts to question DAISY's identity. DAISY may be closer to Teru than she thinks... Dengeki Daisy can be an active love story. I dare to say that everybody gets surprised when they find out that the author is a man,he is called Kyousuke Motomi and he is also known for another shoujo: Beast Master.How ever it's really a shame that the translation is pretty slow for this manga, especially the lastest chapters which have revealed lots of things, but hey ,at least we get some of the chapters.